Pick up the game later in life or has it just been a while since you've put on the skates. 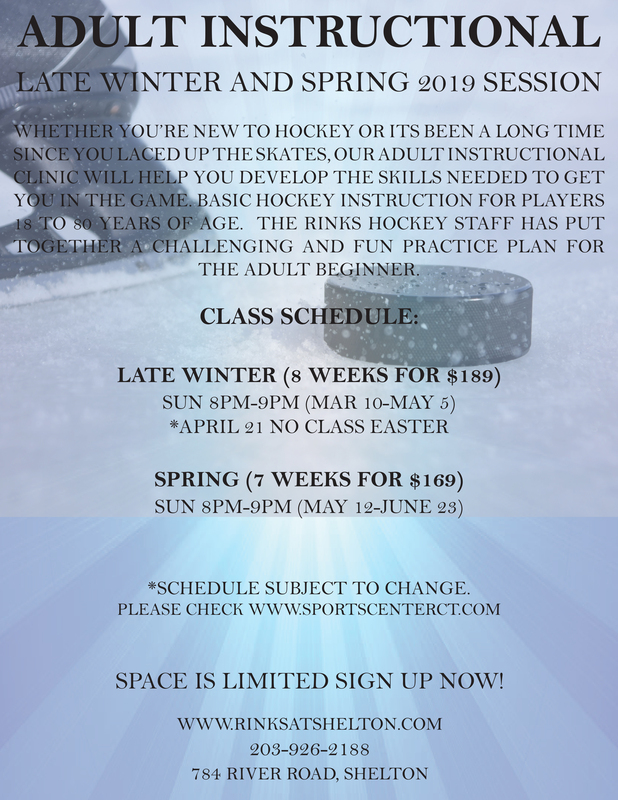 Our adult hockey instructional program encourages the development of the beginner through premier player in a warm, friendly environment. Sessions include personalized instruction as well as controlled scrimmages. Players are grouped by skill level.